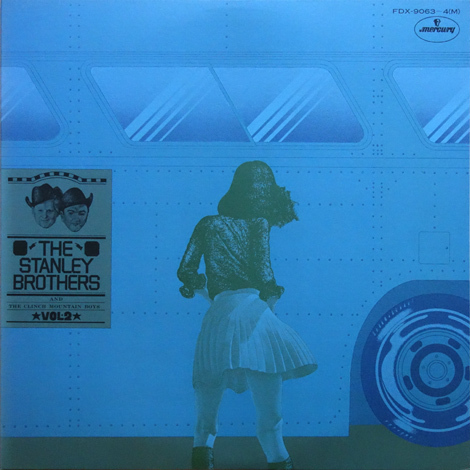 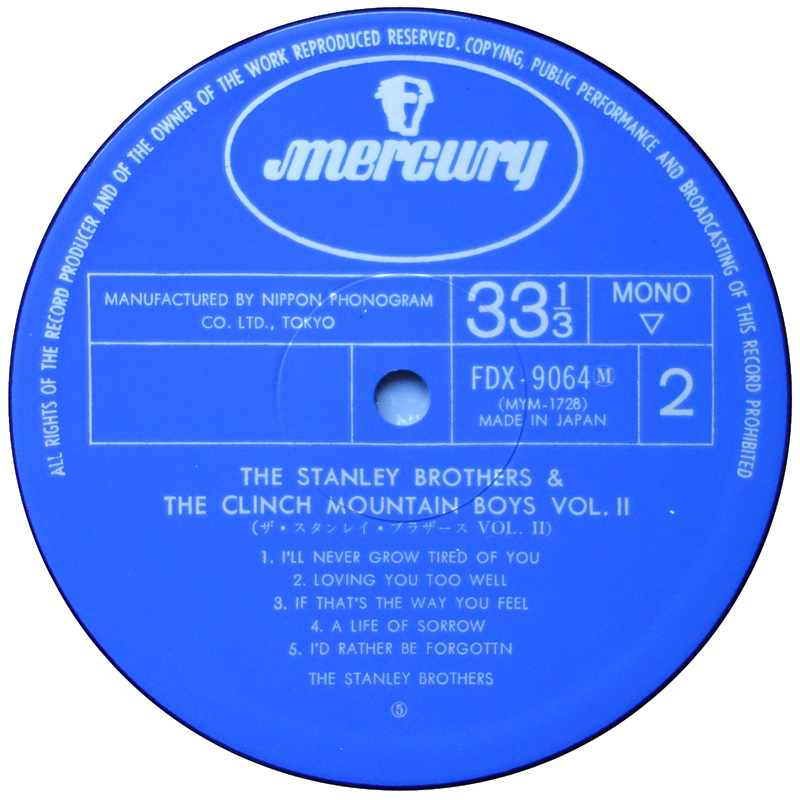 This is a Japanese double LP compilation from 1974 of Mercury era material, which follows on from the The Stanley Brothers And The Clinch Mountain Boys album. 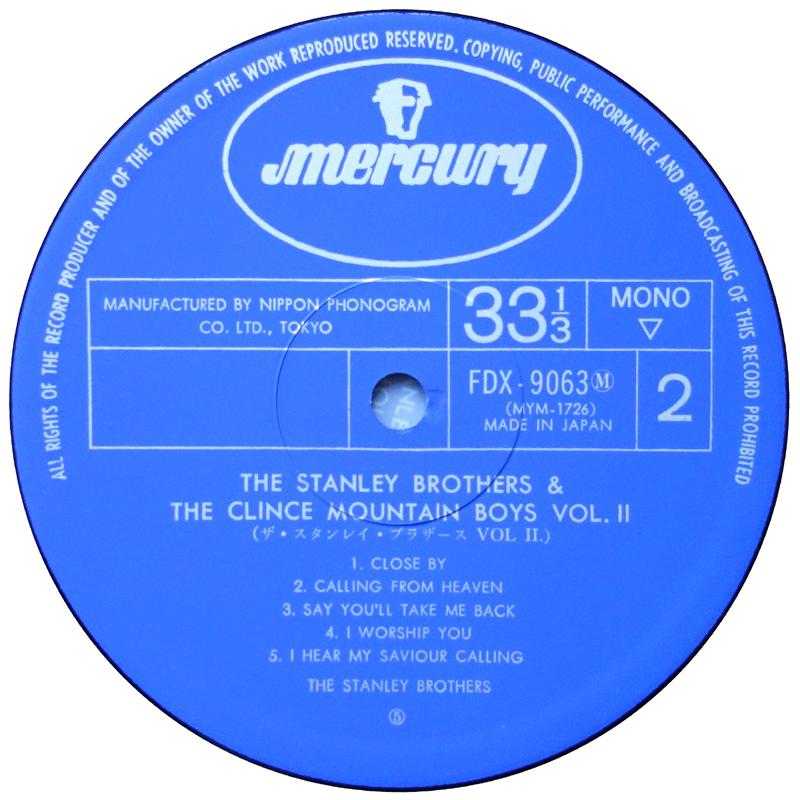 Togther they contain practically all of the material The Stanley Brothers cut for Mercury, with the exception of A Lonesome Night which remained unreleased until 1993, and Maple On The Hill (which, like Little Maggie) was recorded I think for Starday & licenced to Mercury during the short-lived Mercury-Starday tie-in. The gatefold cover is another unusual one... Carter could only dream about owning a tour bus! 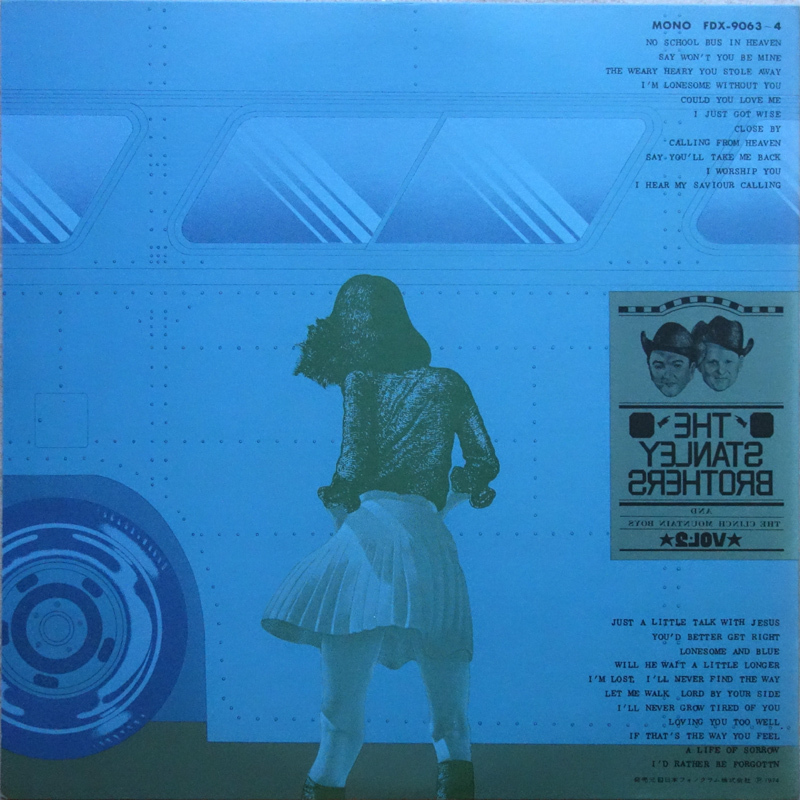 The inner gatefold includes lyrics to the songs in English and some Japanese text. 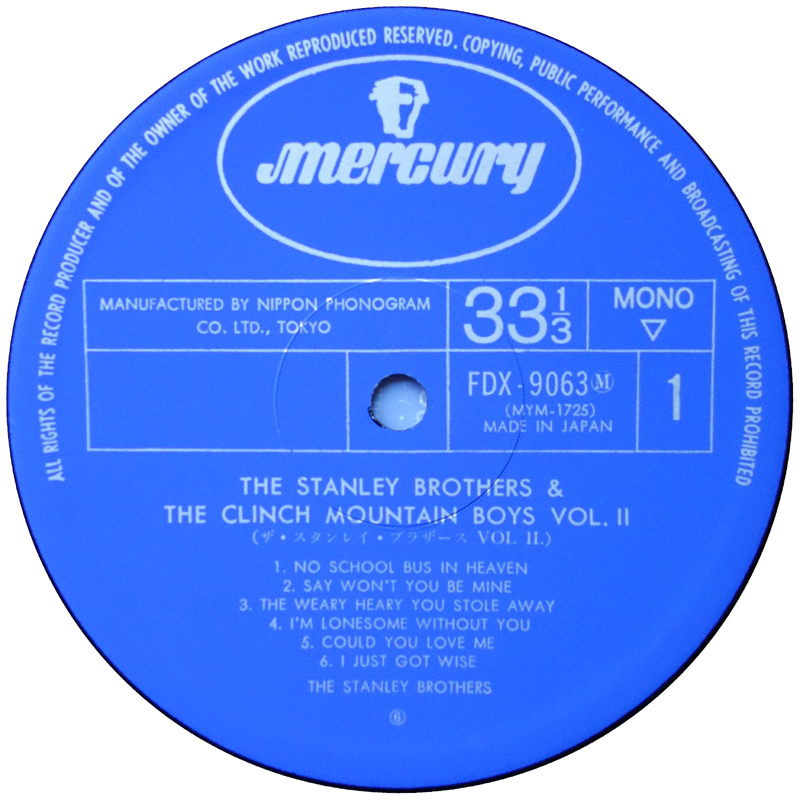 Nowadays probably the best way to get all the Mercury material is on the 2xCD The Complete Mercury Recordings set. 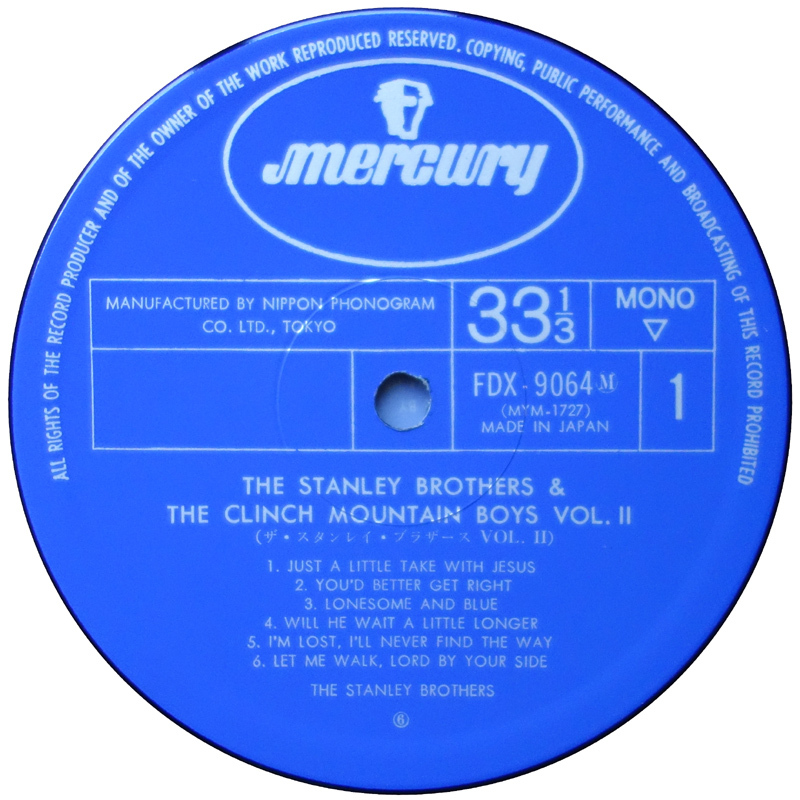 For a detailed breakdown and background to these sessions, check Gary B. Reid's The Music Of The Stanley Brothers book, pages 41-41, 45-51, 56, 57-58, 60-61, 62-64, 66-69, 71-74 and 81-83.